Participating in a camping event doesn’t just boost someone’s learning experience; it also creates an opportunity for those interested in meeting new people to make new friends and built long-lasting relationships. If you wish to hold any summer camping event this year, you are more likely to get many people developing an interest in the event. 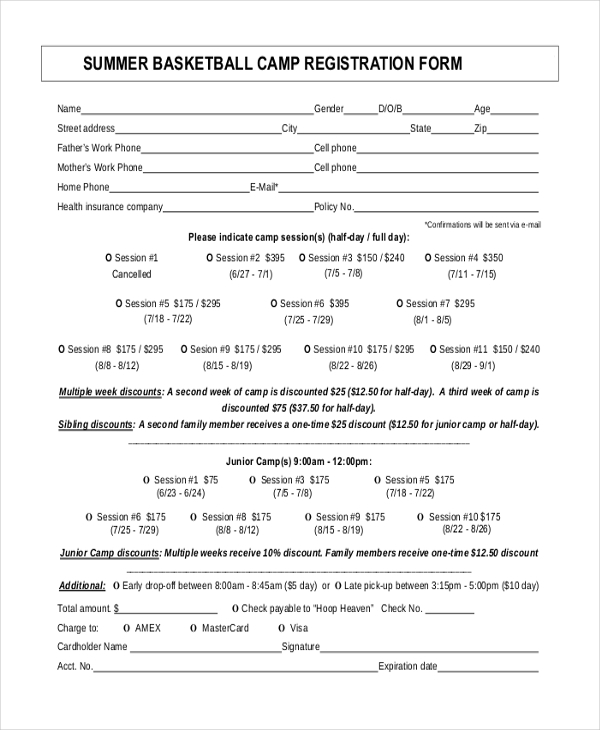 However, the best way to differentiate between those who are interested and those who are actually serious about coming to the summer camping event is to use the Registration Forms. 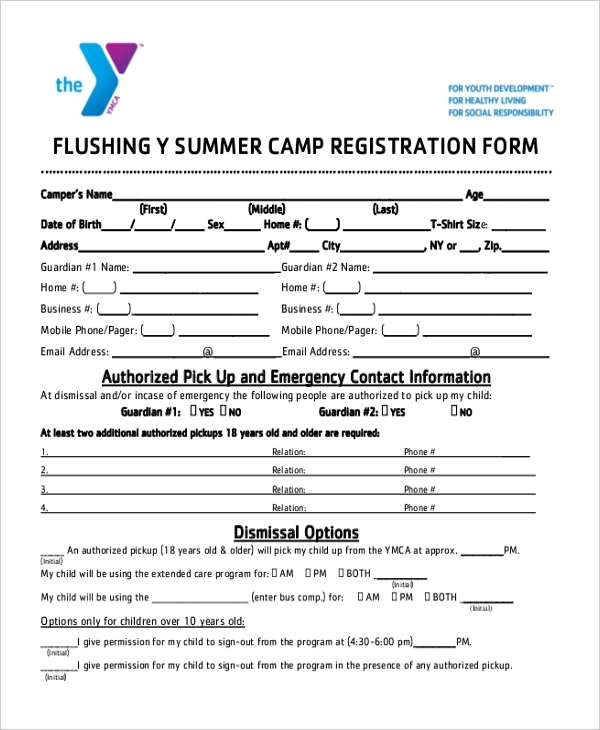 Parents who would like their children to participate in the summer camping event can express their interest by filling out this form. 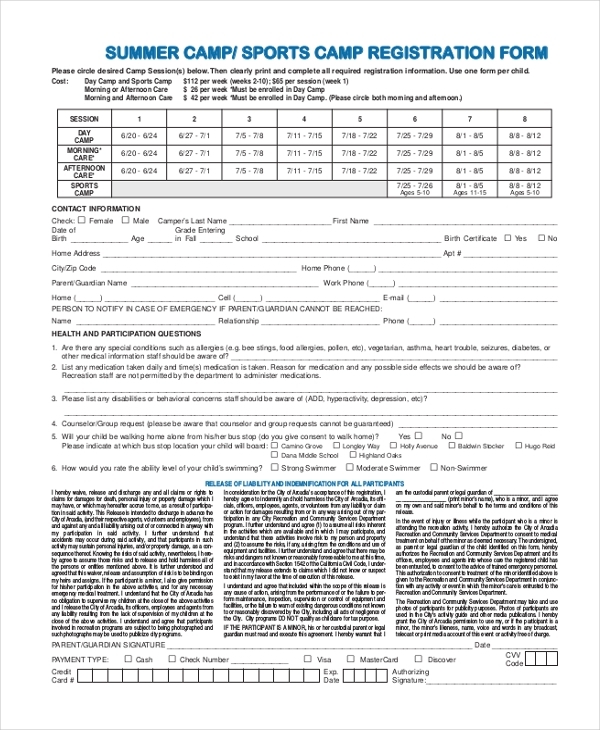 The content of the form is simple and it is easy to fill out. Dancing in a camp is one of the greatest ways by which kids and adults show their talents and meet like-minded people. 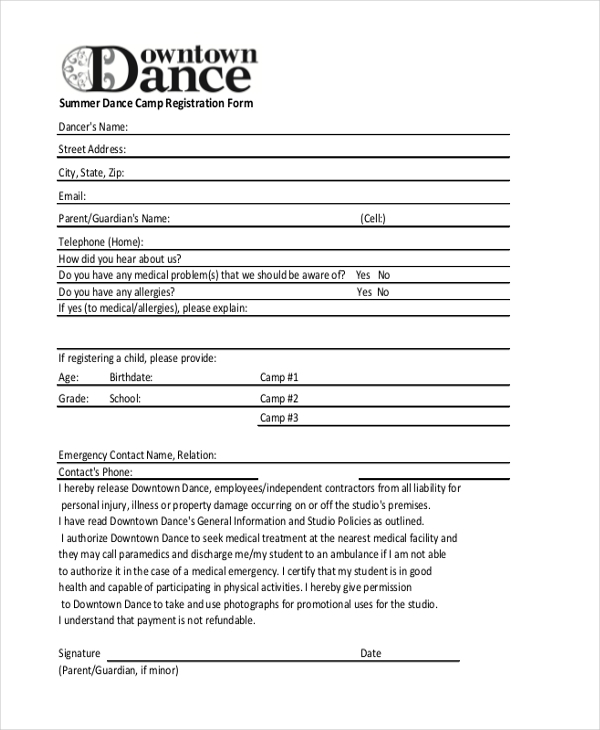 You can fill out this form if you are interested in attending a summer dance camp. Playing basketball during a camp is far much different from playing the same game at home. 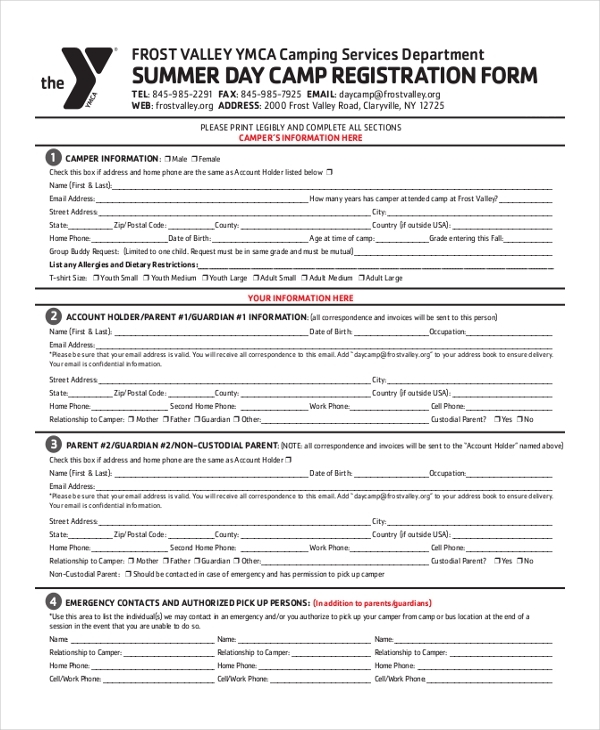 If your child truly wants to be away for a couple of days, then you must fill this form to show that you have no problem with your child being part of a camping event. Summer Camp for school kids is always a moment for the children to learn something new, but parents must give their consent before letting kids take part in the event. They can do so by filling out this form. This form has everything you need to know about this camping event. By filling out your personal information, you agree to take part in the event from when it starts to the time it ends. To participate in this camping event, you must provide your contact information as well as additional information about who you are. The form is easy to fill out, so it should not take you long. 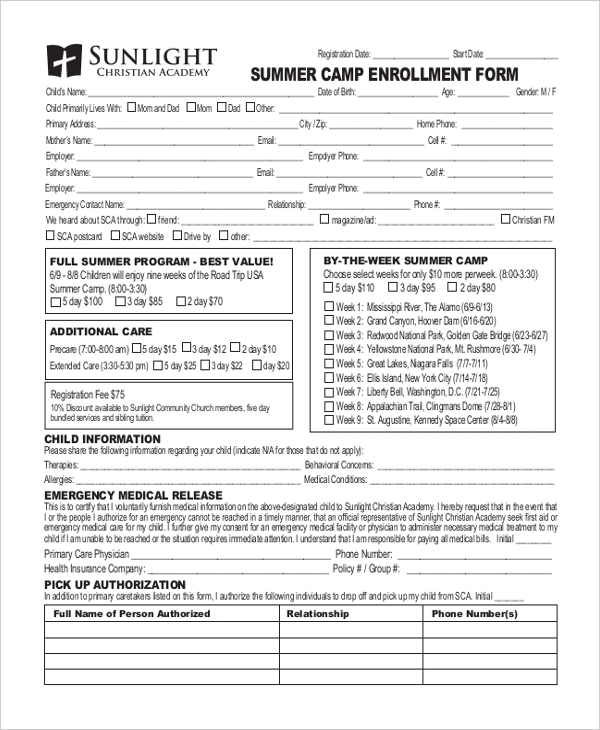 For those who would like to enroll for an upcoming camping event, this the best form to fill. 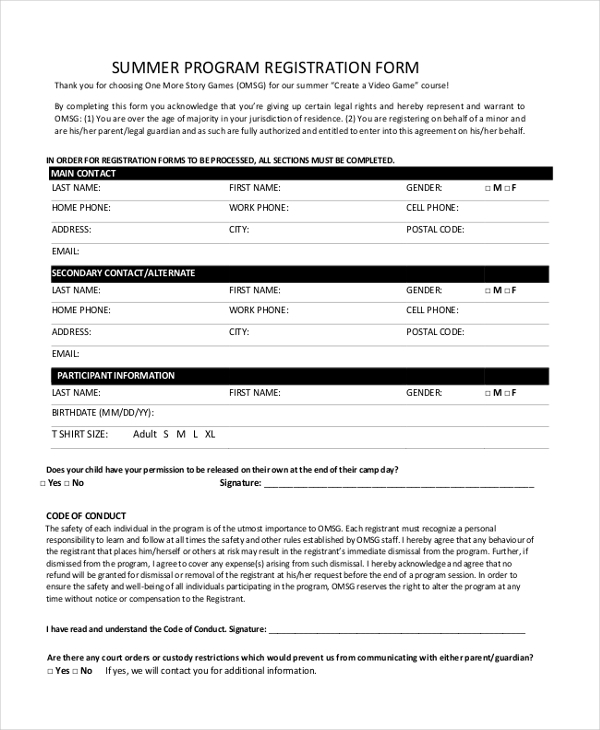 The form is easy to read, and filling it out should not take you a lot of time either. Allowing your kid to go on an art camping can help them improve their art skills. The goal of the event is to improve talent and help children get the best out of themselves. Horse riding is a fun activity, but you really don’t have a horse to enjoy a daily ride. 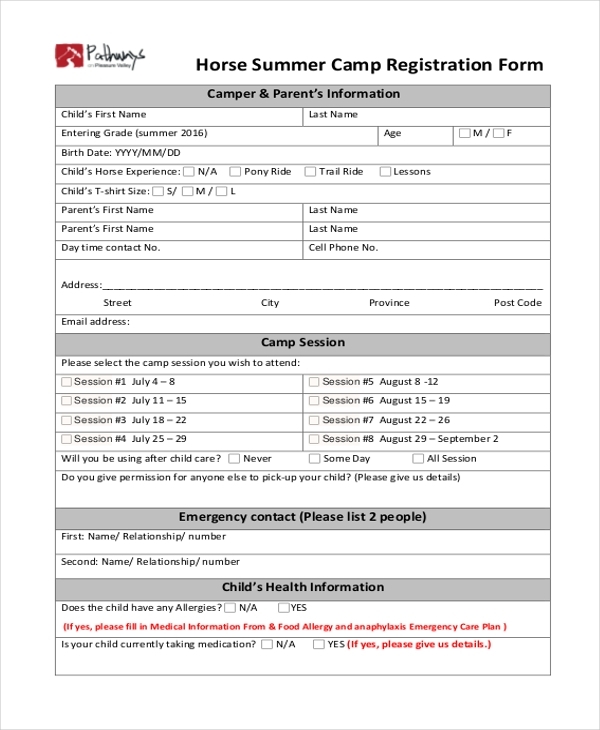 However, a summer camp event can give you the chance to ride on a horse. 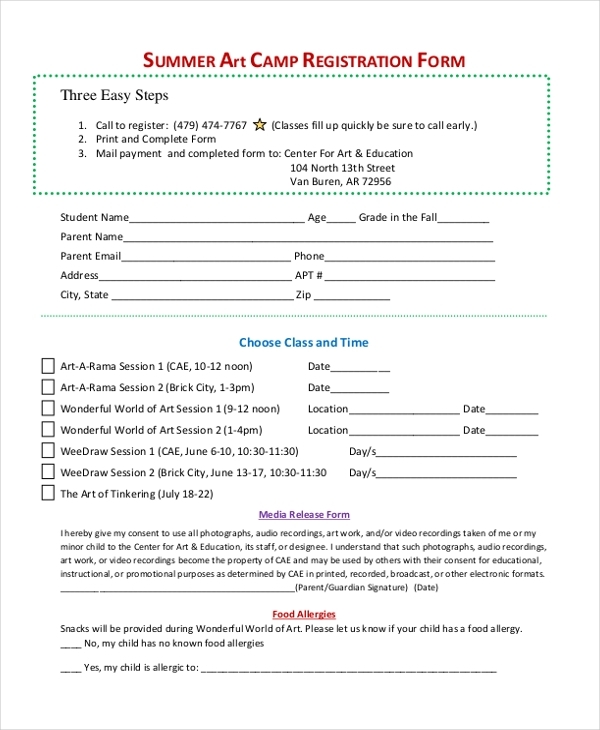 Express your interest by filling out this form. 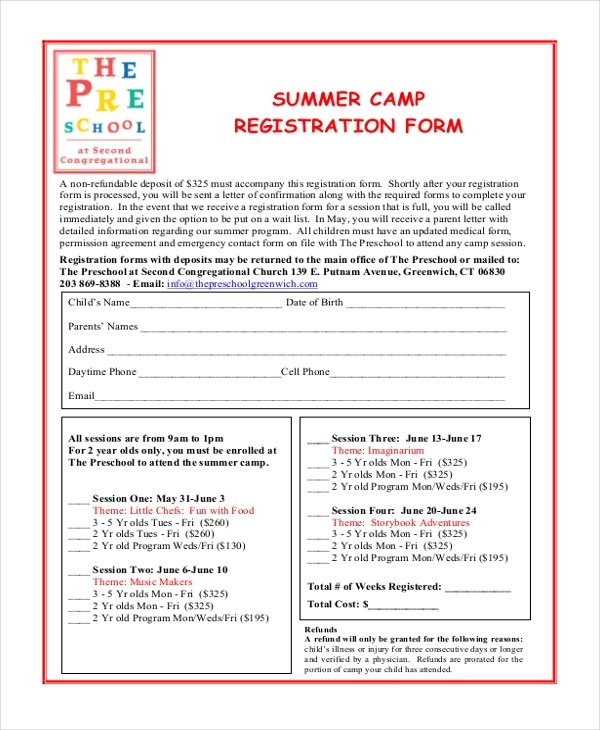 This summer camp event is great for kids as well as adults. If you would like to participate in the event, you can express your interest by filling out this form. Who Should Use These Sample Forms?